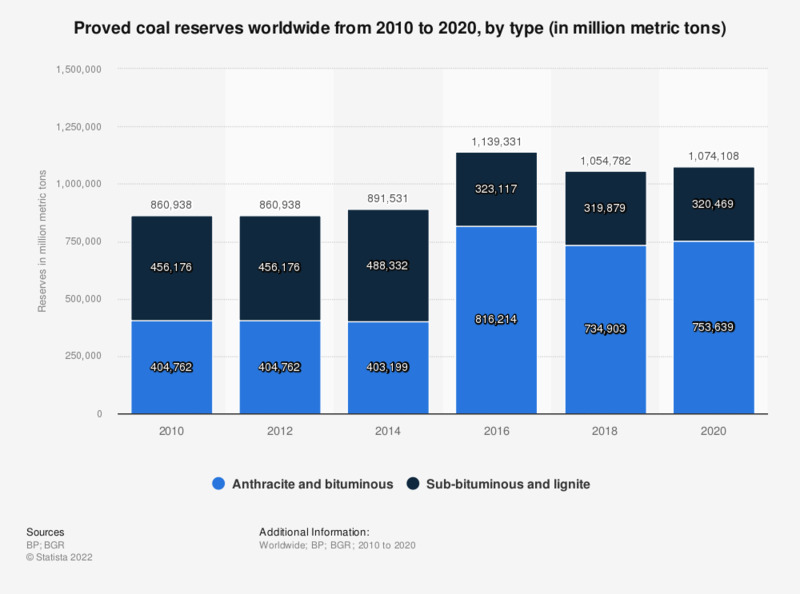 This statistic represents proved coal reserves worldwide between 2010 to 2017, by type. In 2017, the amount of global proved reserves of coal (anthracite and bituminous coal) amounted to around 718 billion metric tons. As of 2013, the life years of coal is predicted to be a about 112 years at the current rate of production. The world's largest coal reserves are found in the United States, Russia, and China. This statistic has been compiled using several editions of the report.